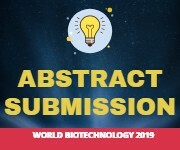 <p style="&quot;text-align:" justify;"="">Food biotechnology is the application of technology to modify genes of animals, plants, and microorganisms to create new species which have desired production, marketing, or nutrition related properties. Genetically engineered (GE) or genetically modified (GM) foods, they are a source of an unresolved controversy over the uncertainty of their long-term effects on humans and food chains. 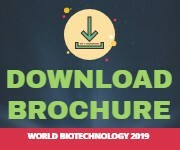 Food biotechnology is and will continue to be an important area in science as the world’s human population continues to increase and the world’s agricultural lands continue to decrease. Food biotechnology employs the tools of modern genetics to enhance beneficial traits of plants, animals, and microorganisms for food production. It involves adding or extracting select genes to achieve desired traits. Food biotechnology offers the potential to further improve our nation’s health and the health of developing nations. The work currently being done with “golden rice” and the potential it has to help combat hunger and malnutrition related diseases. Purchase fruits and vegetables with increased antioxidant content that may reduce risk for cancer. Plant-made pharmaceuticals are the latest evolution within the realm of biotechnology. As the name suggests, this process uses genetics to enable plants to produce protein-based medicines to treat diseases and save lives. These proteins are extracted from the plant and developed into pharmaceuticals. Edible vaccines are among the most innovative approaches for administering new vaccines. For example, researchers have investigated putting a vaccine into bananas that would protect against food borne pathogens.